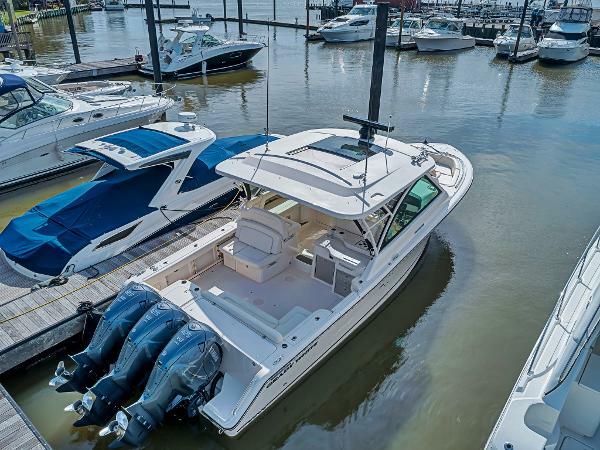 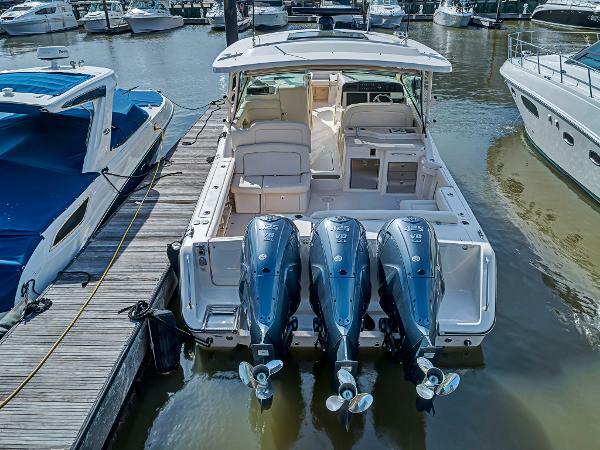 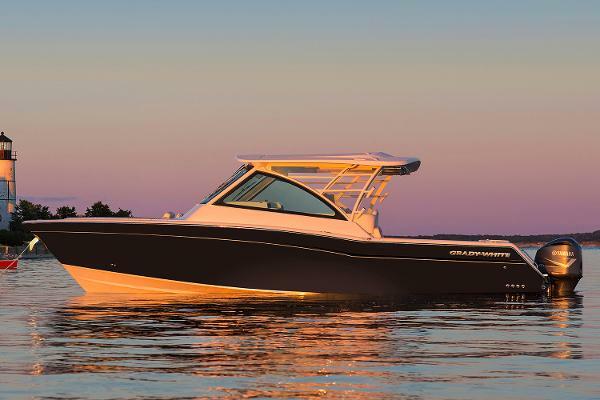 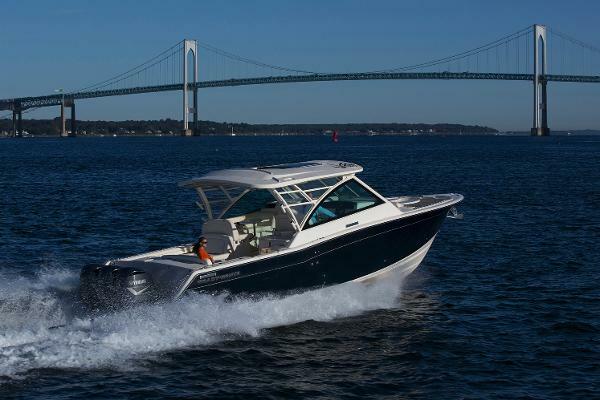 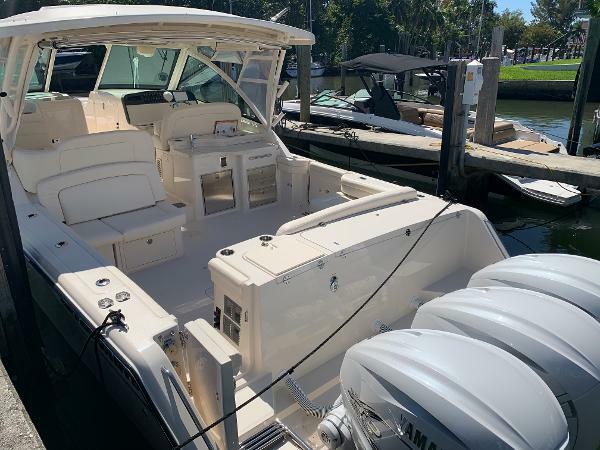 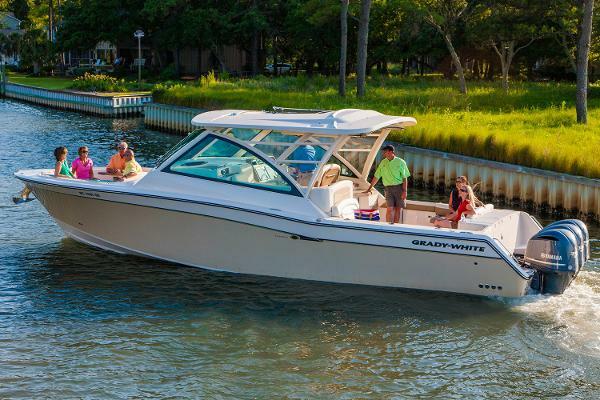 The Freedom 375 is the “ultimate transformer,” a 37-foot dual console that goes from one on-and-in-the-water activity to another seamlessly. 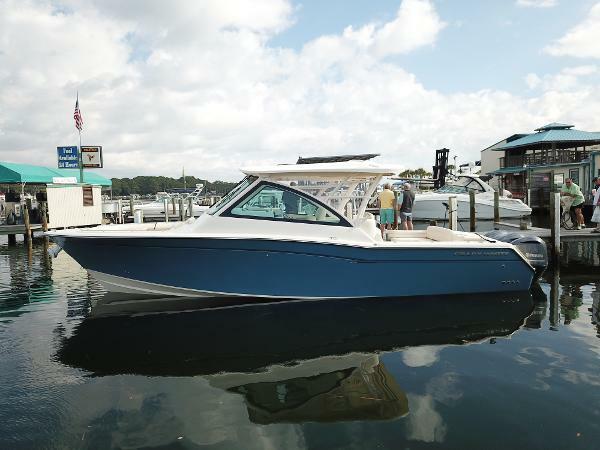 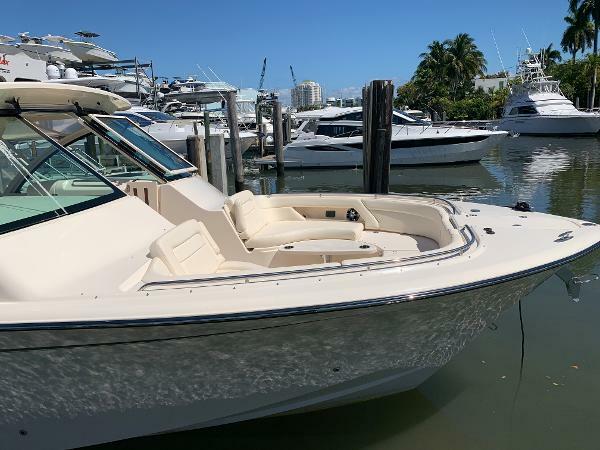 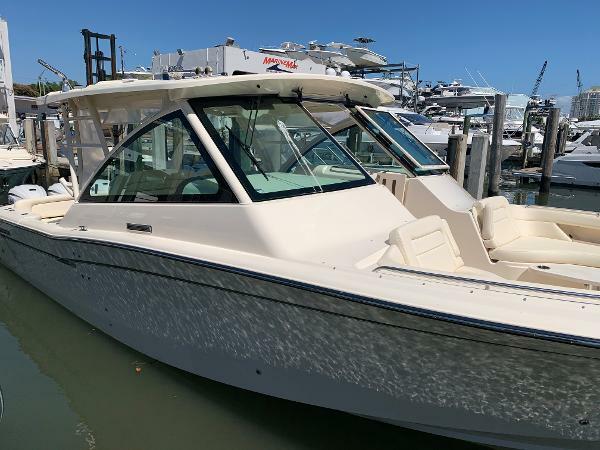 With plenty of room for a crowd, and comfort to satisfy the most demanding customer, the Freedom 375 is a superb offshore fishing boat and a wonderful cruise boat, perfect for socializing–an amazingly engineered boat of extraordinary style. 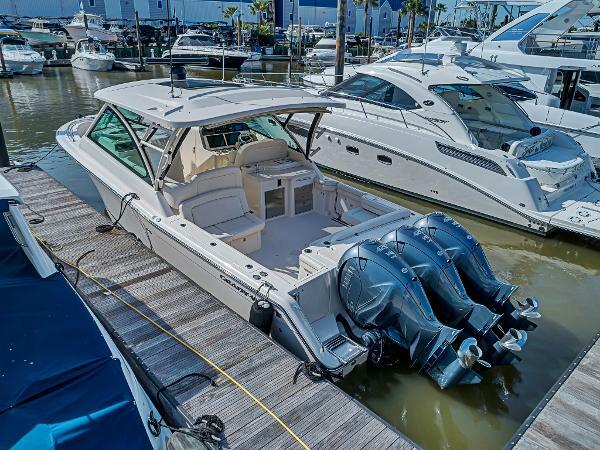 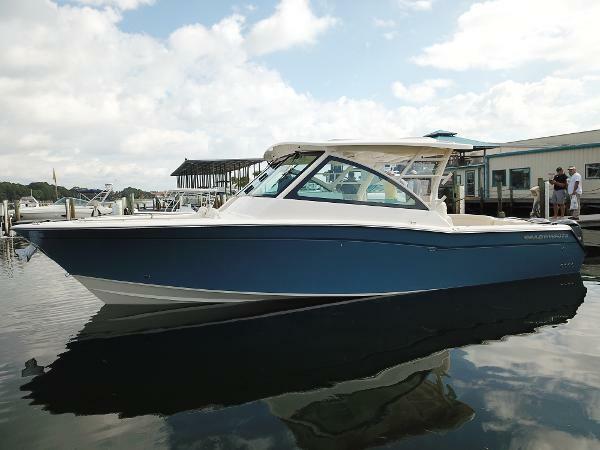 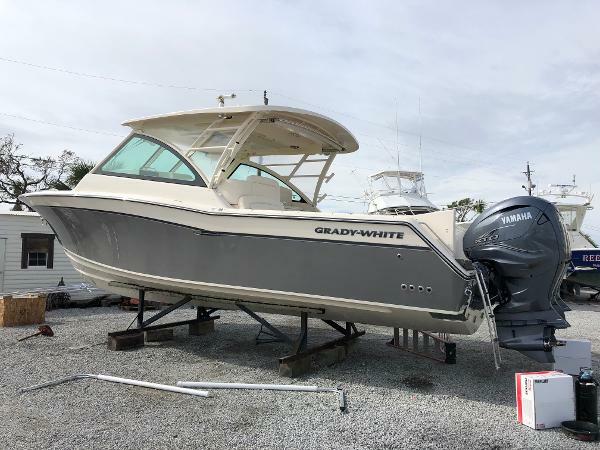 2018 STANDARD EQUIPMENT: 2 Automatic Bilge Pumps Nonskid Fiberglass Liner SS Thru Hull Fittings Anchor Windlass w/ remote Bow Thruster Battery Charger System Cleats Flush Mounted Cockpit Bolsters Dockside Power w/Galvanic Isolator Fish/Ice Box 208qt insulated w/ lght Generator Hydraulic Trim Tabs w/ indicator Washdown Freshwater(fwd & aft) Pressurized Raw Water Washdown Water Tank 54gal Wet Bar Frig and sink Windshield Wipers Hardtop - AV2 enclosure w/ elec sliding sunroof w/ screen & shade LED spreader lights tri-color rec LED lights Sureshade electric retr shade with Sunbrellas canvas (oys) Air Conditioning Freezer - Refriger aft fish box w/ digital control therm & ob drain Strbd console w/ Vacuflush head 10 gal shower Sink, drawers, lighting, microwave, storage, w/ mirrow w/ vanity lighting.